The fact is The FBI lost him…..That happens sometimes….. While the first 24 Hours after the Times Square would be bomber was about the FBI….. The facts coming show that the FBI lost Faisal Shahzad up in Connecticut…. Saw him go into a house…. Called for local cops and more FBI backup…. And came up empty when they went into the house…. The thing that did it for them was the flight manifest info that Emirates Airline sent back to Washington …..
As matter of fact ….the airplane was on it way out a SECOND TIME…. When it was ordered back for a reverse baggage claim check supervised by the Port Authority Police and FBI agents along with other federal law enforcement people and the airport cop’s dogs……. The federal agent searching the streets of Bridgeport, Conn., at last laid eyes on Faisal Shahzad sometime Monday afternoon. The agent called for help, and soon there was a mix of federal agents and local police officers arrayed on the blocks around Mr. Shahzad’s apartment at 202 Sheridan Street, according to a federal official briefed on the events. The narrow street of row houses was far from ideal for a surveillance operation. The agents stood out in the gritty neighborhood. There was no familiarity with Mr. Shahzad’s habits or routines, said the official, who spoke on condition of anonymity because the investigation was in progress. But for hours the agents were there, trying to cover any likely exit routes that might be taken by the man they believed was in some way involved in the botched effort to set off a bomb in Times Square on Saturday. Sometime around 11 p.m., according to people who live on the street, the authorities moved in with a show of force — black Suburbans, white panel trucks and a SWAT team unit. The building’s landlord had given them a layout of Mr. Shahzad’s apartment. They hoped he would come out, and if not, the intention was to call him and encourage him to surrender. He boarded Emirates Flight 202 sometime before 11 p.m., one official said, around the time the F.B.I. was moving on his home. Mr. Shahzad, 30, was arrested on the plane; he has been charged in the car-bombing attempt and is cooperating with investigators. For officers, of course, the trouble with following a suspect is obvious: play it too tight or get too close, and they can be “made,” or exposed; play it too loose, and they can lose their target. Add the dynamics of environment, and the degree of difficulty increases: wide-open farmland, noisy city streets or exurban sprawl is each an enemy to a police detective or a federal agent tying to blend in, ghostlike. So, too, is a street in Bridgeport, one full of bodegas and people gathering in front of their houses — and one with an apartment building with a tiny back alley for cars, but not agents looking to hide. A National Terror policy…and the Cop on the beat…….. The Times Square try at bombing is proof of this….. The NW 235 flight try at bombing is also…..
As was the World Trade Center…….. The cops where there first in everyone of those instances……. Predator and troops extend the war to other regions…. 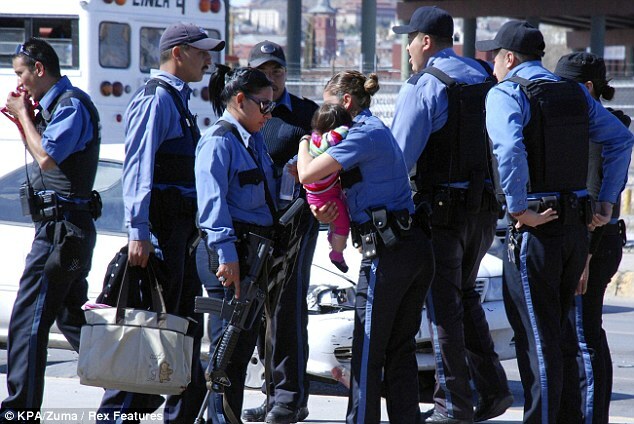 But the local cop on the beat takes care of all of here……. Till the Fed’s get on scene….and take the glory….. 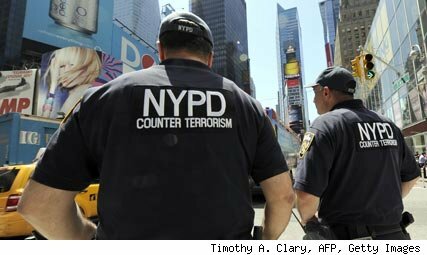 The 53 hours from the primed-to-explode Nissan Pathfinder in Times Square to the nick-of-time arrest of Faisal Shahzad underlined the single undeniable truth of 21st-century terrorism. The best defense against a terrorist attack is not the CIA, the FBI, Predator drones or Jack Bauer, but the New York Police Department. The FBI lost Shahzad on his way to Kennedy International Airport on Monday night and his name on the do-not-fly list failed to prevent him from initially boarding an Emirates jet to Dubai. But from the moment a street vendor alerted a mounted police officer in Times Square about white smoke pouring out of the Pathfinder, the NYPD appears to have done everything right — from disarming the car bomb to discovering the identity of the alleged terrorist. Hoekstra illustrates the way that alarmists dominate the public debates on terrorism. Anyone who has seen the raw intelligence and received classified briefings can easily concoct chilling scenarios, but it takes experience to put these fears and fragments into perspective. The problem is that after 9/11 nobody is rewarded for claiming that “the system worked” or pointing out that the intelligence community has been prone to issuing elevated threat levels regardless of what is actually occurring. Imagine daring to predict in the months after Sept. 11 that al-Qaeda would not be able to launch a single successful major terrorist attack on American soil for, at minimum, eight years. Such optimism would have been a career-ending move for any public official or pundit — a surefire way to be denounced as dangerously naïve or even an apologist for Islamic fanaticism. And so far…good police work, military work…. Have been goosd to this country since Septemeber 11, 2001….. The United States sends the FBI, DEA, and ATFE to help find out who shot the American consulate official and her husband…. Dozens of officials from the FBI, the Drug Enforcement Administration and other U.S. agencies joined an investigation Monday into the killings of three people tied to the U.S. Consulate in the Mexican city of Juarez, scrambling to determine whether the slayings marked an escalation in the region’s drug war or were simply cases of mistaken identity, officials said. Lesley Enriquez, 35, who worked in the consulate’s citizens services section, was believed to be the first American consulate employee to have been killed in apparent Mexican drug violence since 1985, when DEA agent Enrique Camarena was tortured and murdered. Enriquez and her American husband were gunned down near the Santa Fe bridge into the United States about 2 p.m. Saturday, as their infant daughter cried in the back seat, unharmed but terrified. About the same time, assailants in a different part of the city killed the husband of a Mexican who works at the consulate. That victim, identified in Mexican media as Jorge Alberto Salcido Ceniceros, 37, had been at the same children’s birthday party as Enriquez and her husband, Arthur Redelfs. The American couple and the Mexican victim had been traveling in white vehicles. FBI spokeswoman Andrea Simmons in El Paso, across the border from Juarez, said investigators had not determined the motive for the shootings. In a sign of how seriously the Mexican government regards the case, Attorney General Arturo Chávez Chávez traveled to Juarez on Monday to oversee the investigation, according to El Diario, a newspaper in the city. Mexican President Felipe Calderón and President Obamaexpressed indignation at the murders. U.S. agencies, including the FBI, DEA and the Bureau of Alcohol, Tobacco, Firearms and Explosives, are assisting Mexican authorities by providing intelligence and interviewing witnesses in the United States, Simmons said. A Mexican official familiar with the cases said there were two main lines of investigation: whether the shootings were “a direct message to the U.S.” or whether they were instances of mistaken identity. The official spoke on the condition of anonymity because the probe is continuing. Man burns his house down…then flys his plane into a building with IRS and FBI offices…..
Here’s the CNN link ………. Here\’s the Story from ABC……. A single engine plane smashed into the side of an Austin office buildling today and authorities are investigating reports that the pilot may have burned down his house down and then steered the plane into the building in a suicidal attack on the IRS, sources told ABC News. The pilot was identified as Andrew Stack. 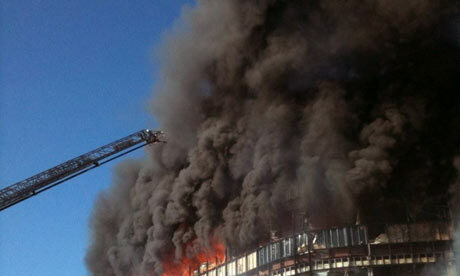 The IRS has offices in the building complex that was struck. Eyewitnesses who saw the plane slam into the building said the pilot appeared to be in control of the plane in the moments before the crash. “It hit it and the strange thing was the engine seemed to me to running at full power. It didn’t seem like the plane was in trouble. It was going full blast. It’s not a very fast airplane, but this thing was really moving fast,” pilot Jerry Cullen told ABC’s Austin affiliate KVUE. Beth Jones told ABCNews.com that she was headed downtown on Highway 183 when she spotted the plane overhead and immediately noticed how low it was flying. Jones said that in the brief glimpse she got of the pilot he looked to be awake and not struggling. As her car passed under the plane’s path she heard a “large explosion” and immediately pulled over to see the building in flames. She said the plane flew “just straight, right in” to the complex. “You think, did he go in there on purpose?” Jones asked. ederal officials said shortly after the crash into the Austin office complex that houses FBI and IRS offices that they had no reason to suspect the incident was terrorism related. A spokesman for the IRS said 190 people work in that office. “We are still in the process of accounting for all of our employees,” the spokesman said. Homeland Security Secretary Janet Napolitano was promptly briefed on the crash, DHS spokesman Matt Chandler told ABC News. The High-Value Detainee Interrogation Group, announced to fanfare by White House officials last summer, was not formally authorized until Jan. 28, under a previously unreported 14-page memo signed by the president’s national security adviser, Gen. James L. Jones. 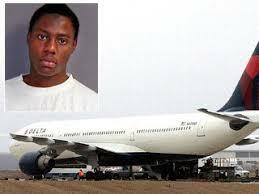 The delay became a matter of political debate last month after members of Congress asked why the group had been not deployed to interrogate Umar Farouk Abdulmutallab, who is accused of trying to detonate an explosive Dec. 25 on an airliner about to land in Detroit. But the Dogs still see’s this whole thing as a political exercise (the finding wasn’t signed until January 28th? ) to placate those who think that bad guys need to be protected from the local FBI and CIA people and counterintelligence people at those agencies….Who have so far handled the NW suspect case pretty darn good….. Bureaucratic political infighting seems to be also on the list……. Note#2.….The Republican’s are on crack…no Federal Judge and Defense attorney is gonna let any testimony from a suspect gained BEFORE being Mirandized be used in a trial…Nope… ain’t gonna happen……That’s why Abdulmutallad is singing…he knows he’s getting a deal…..intelligence will always trump a criminal charge….